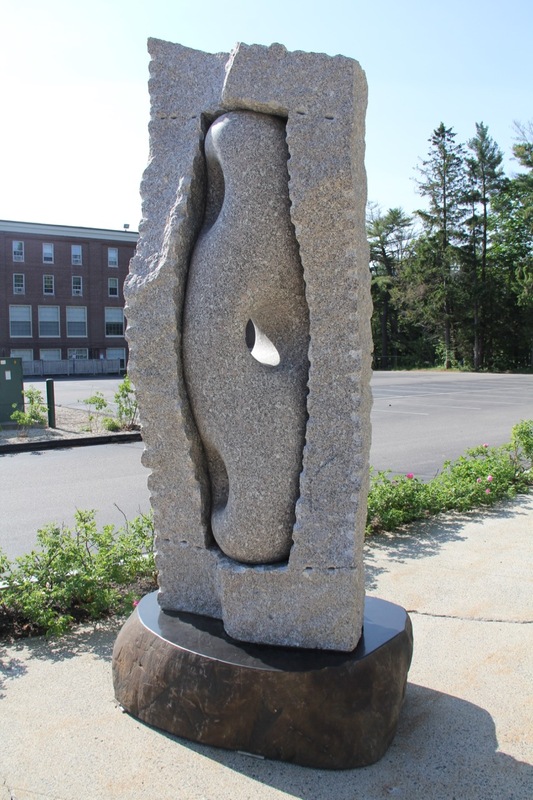 Jesse Salisbury grew up on the coast of Maine and was influenced by this dynamic geology and natural beauty from an early age. 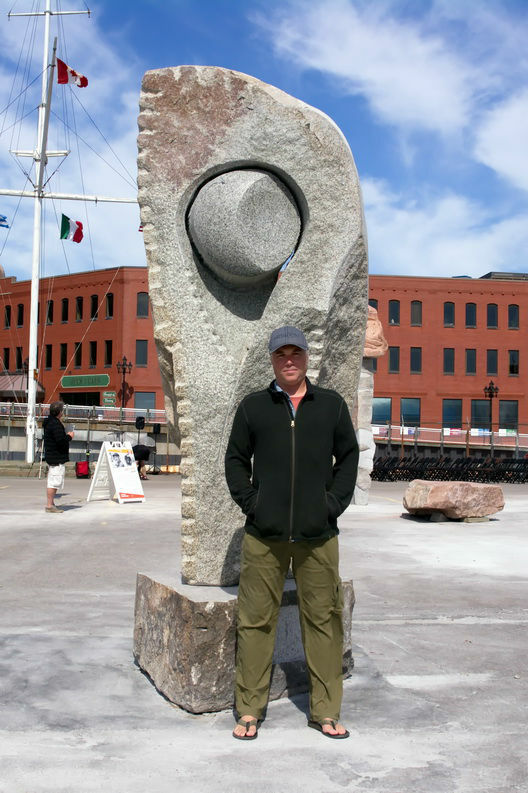 He began his formal artistic training in High School in Japan. 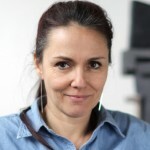 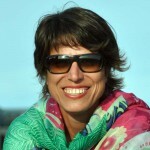 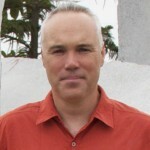 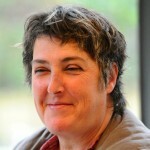 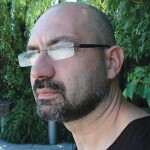 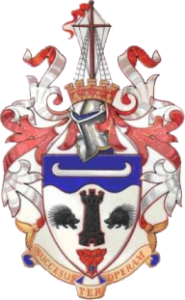 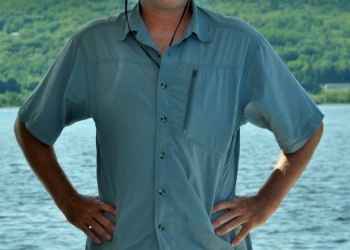 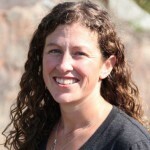 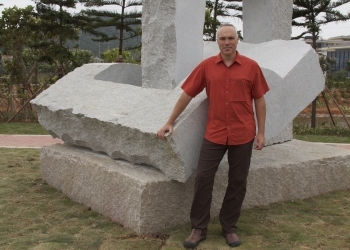 After graduating college with a liberal arts education Jesse has worked extensively in the US and Japan. 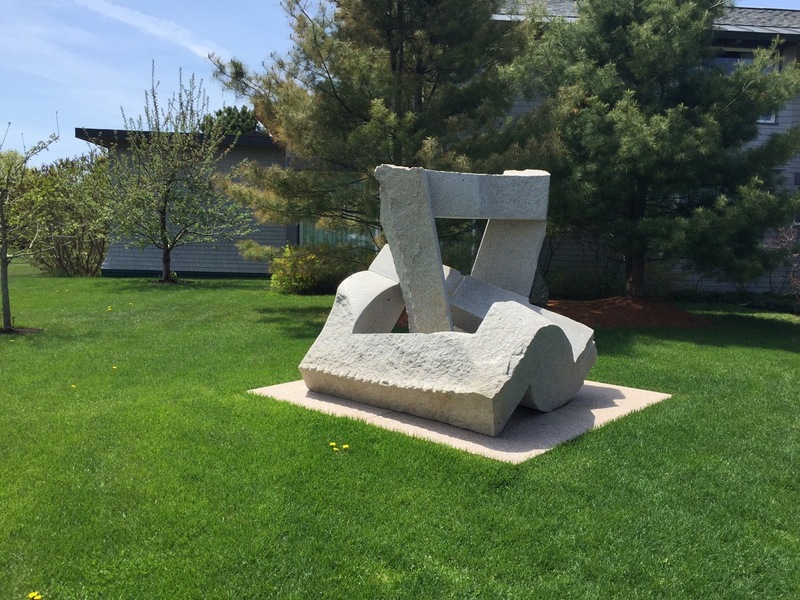 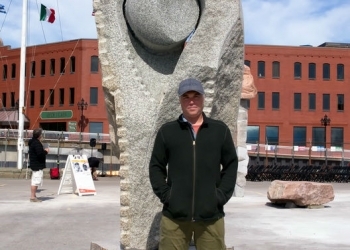 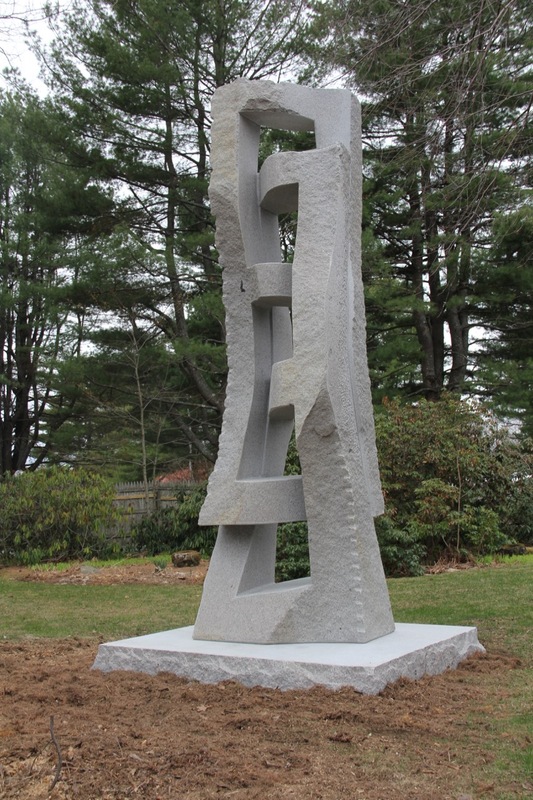 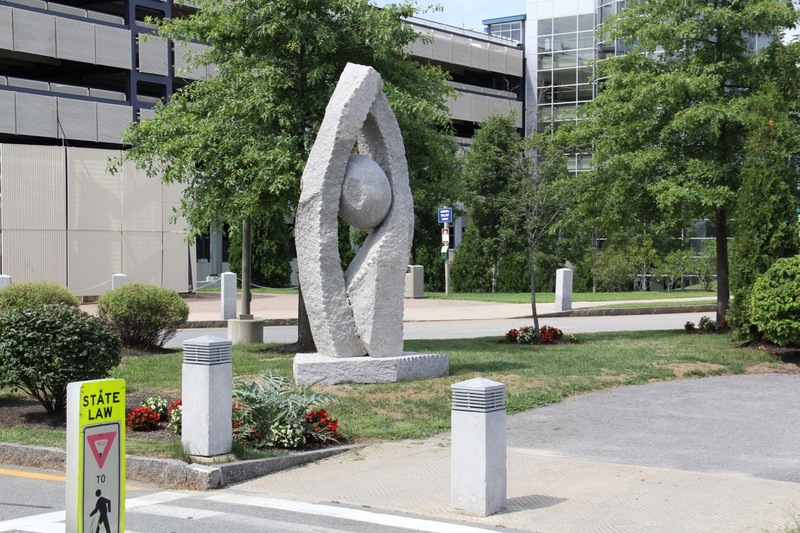 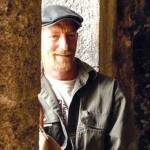 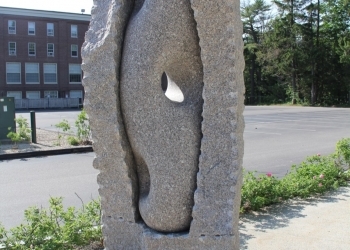 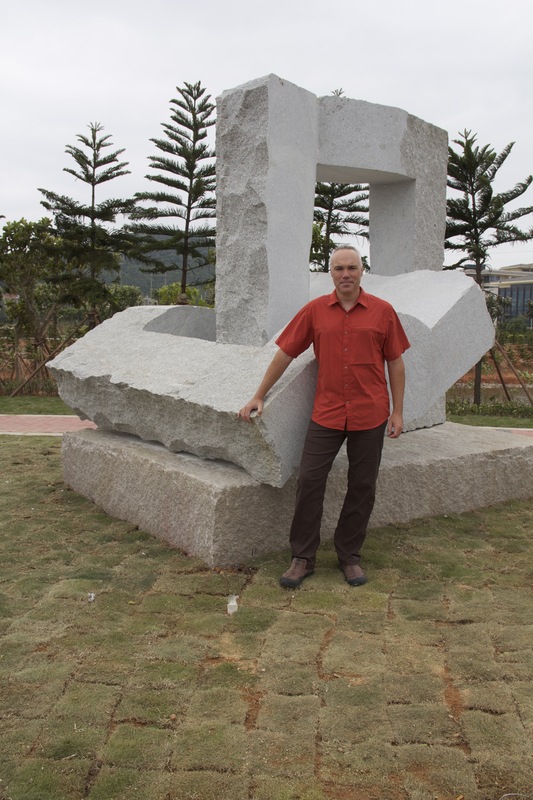 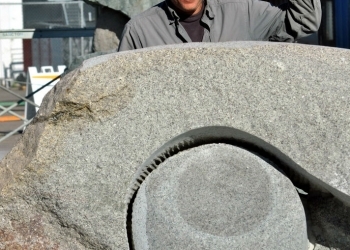 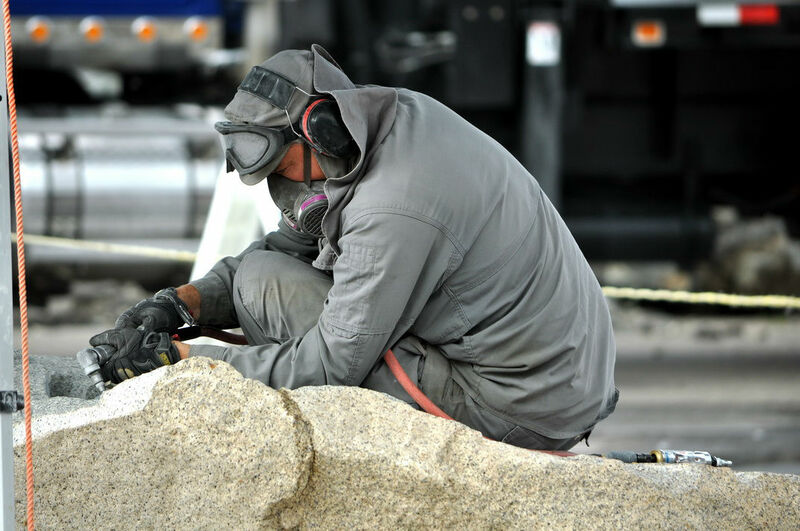 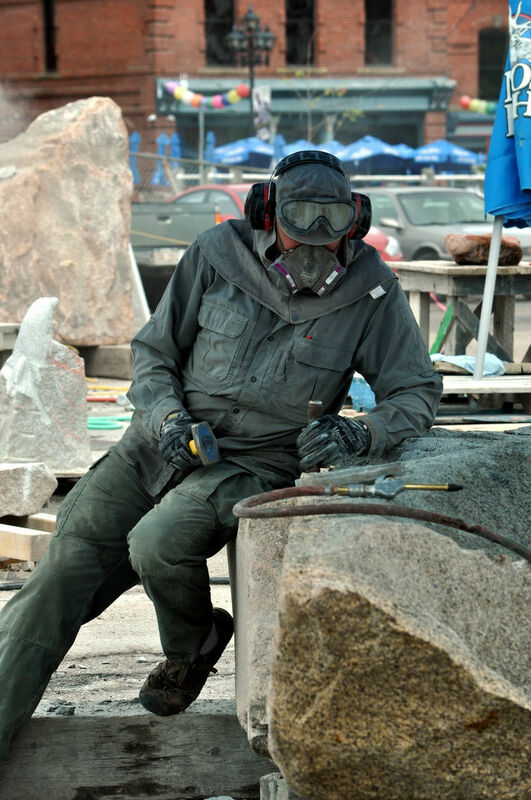 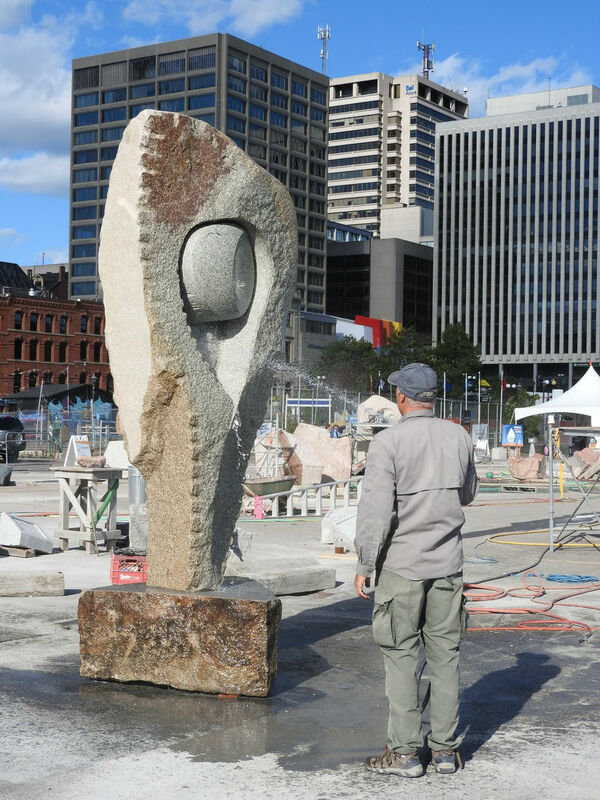 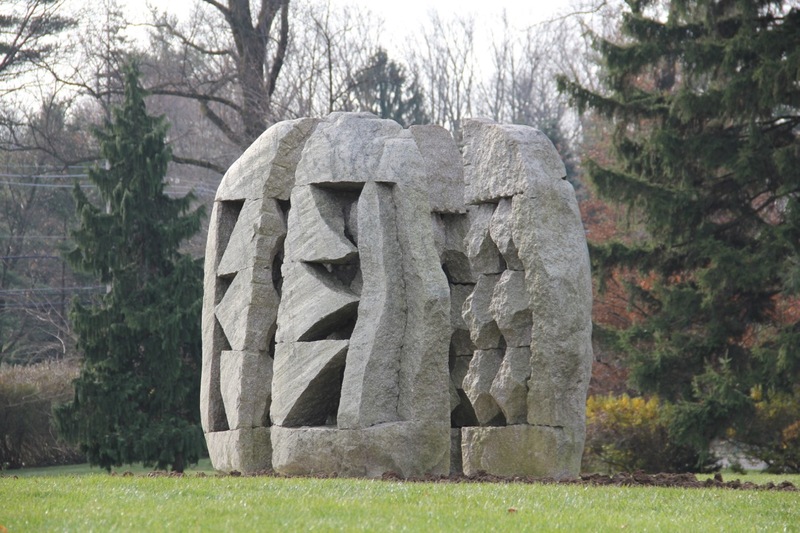 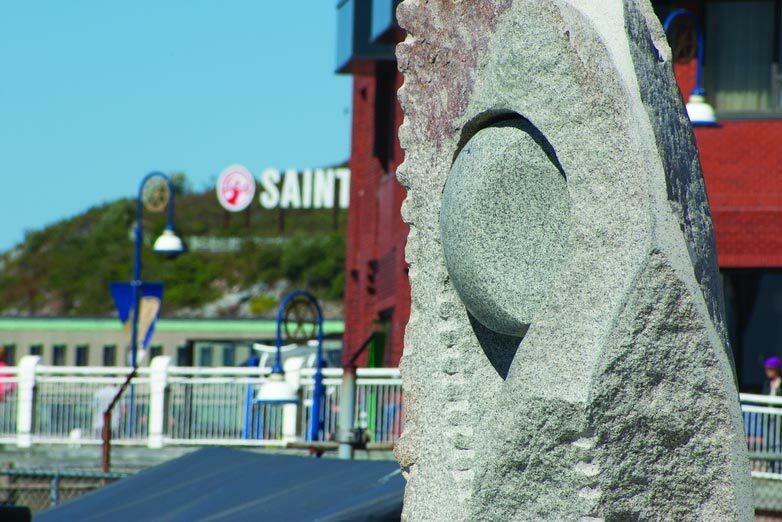 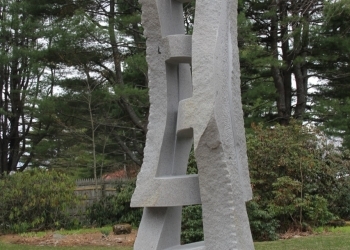 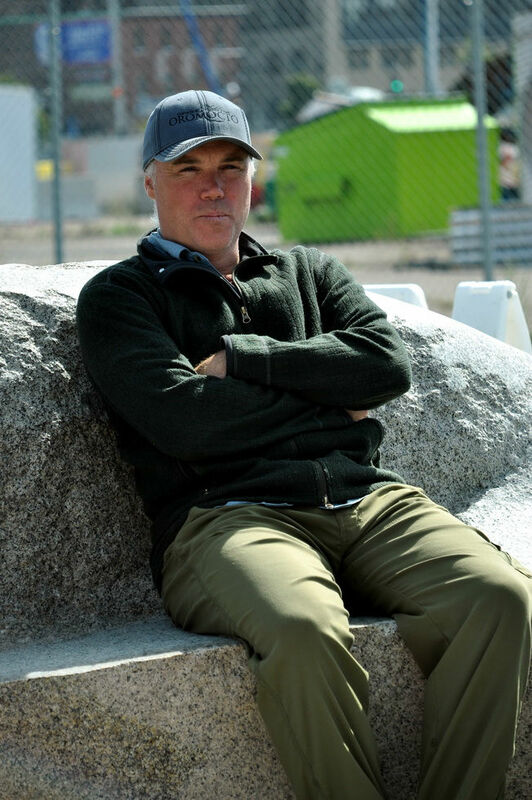 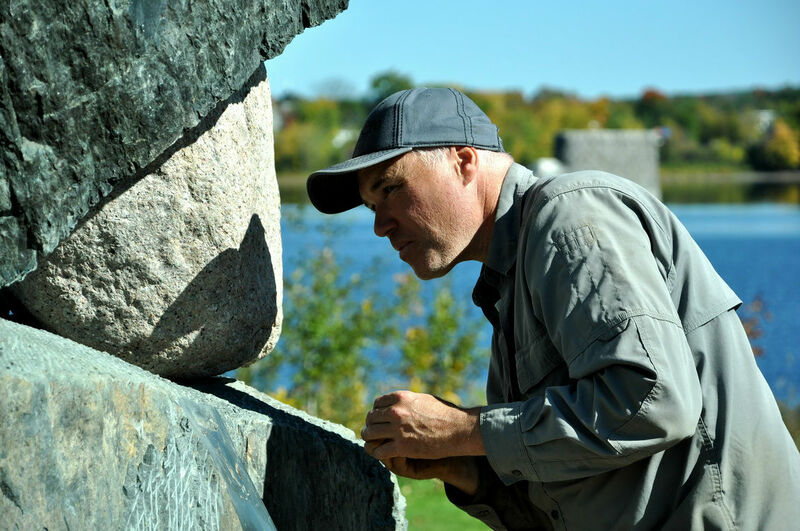 He has built a studio on family land in his hometown of Steuben, Maine and experiment with the local granites available in the area while traveling as an invited artist to international sculpture symposia. 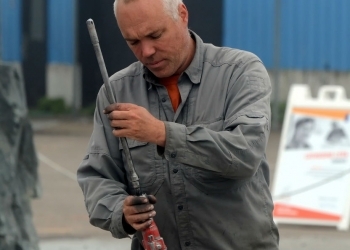 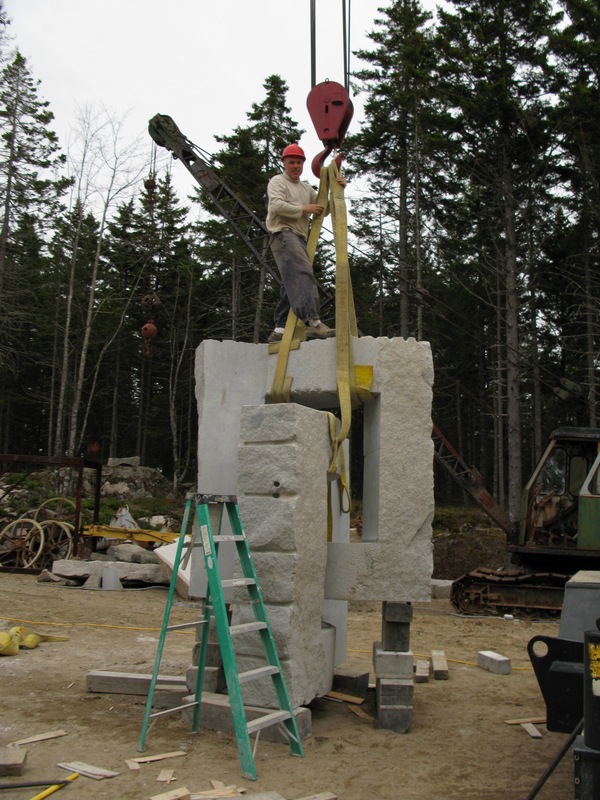 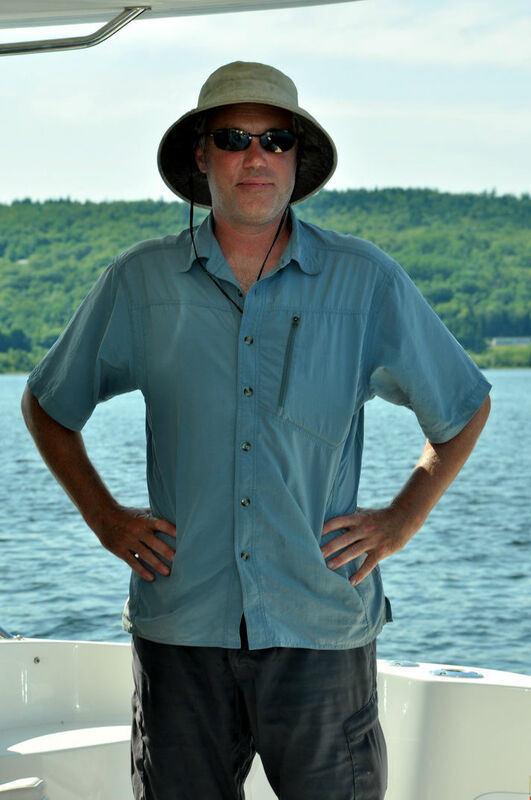 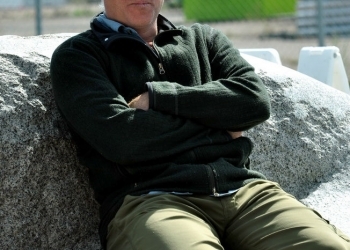 Beginning in 2005 Jesse founded the Schoodic International Sculpture Symposium which has led to the creation of 34 sculptures that span three counties in Eastern Maine. 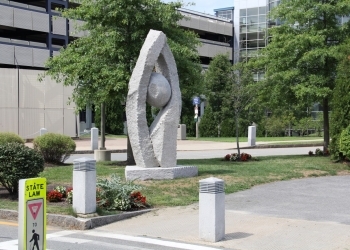 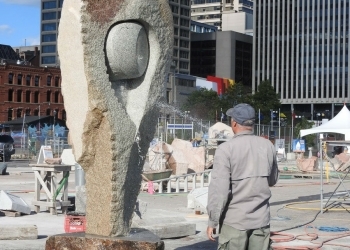 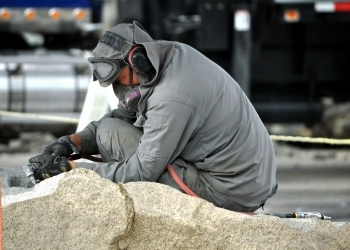 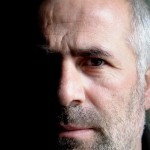 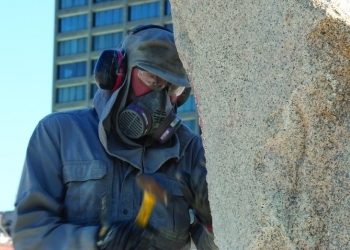 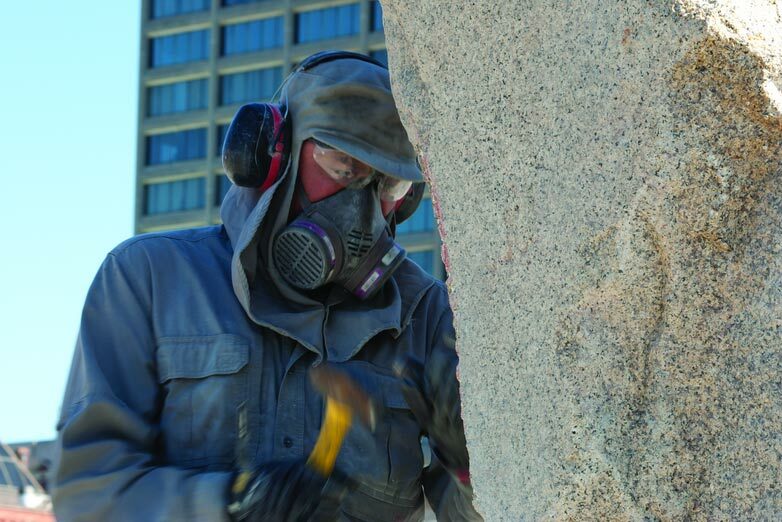 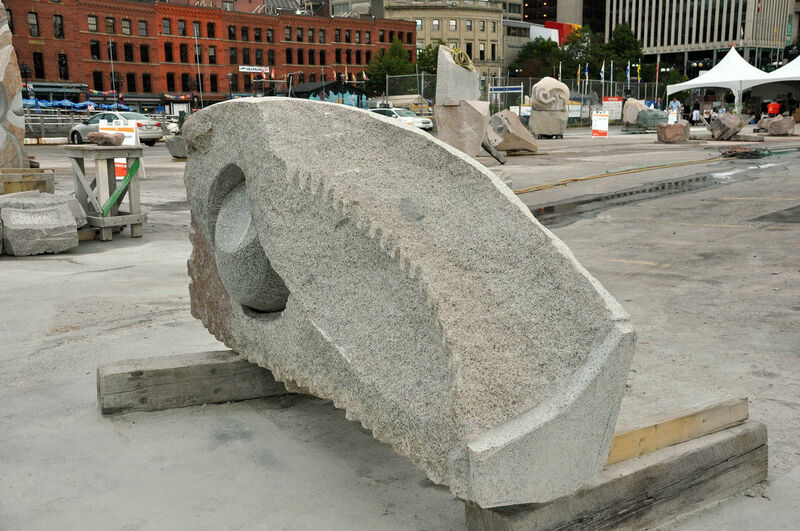 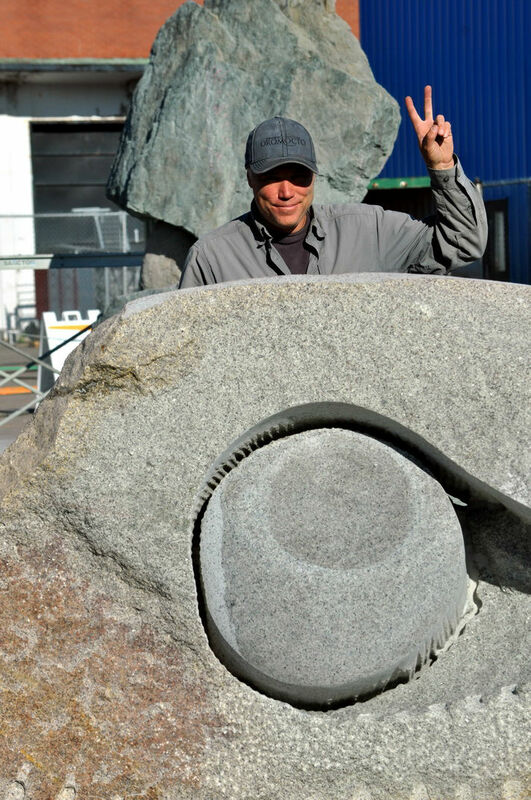 After a decade of developing his own sculptures and founding a major public art event, Jesse is now focused on developing his sculptures on an even larger scale, and in the public realm, in projects that fuse landscape and art, and require collaboration, communication, efficiency, and integrity. 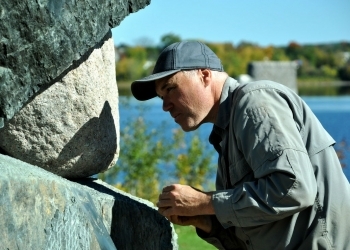 Inspired by Oromocto where rivers and people meet. 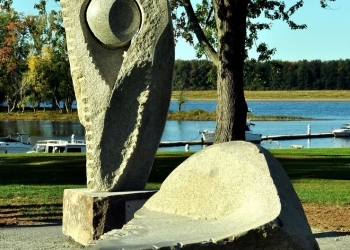 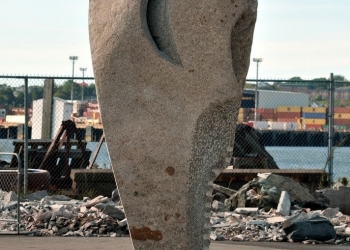 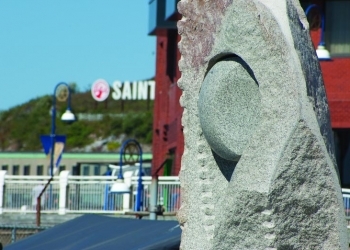 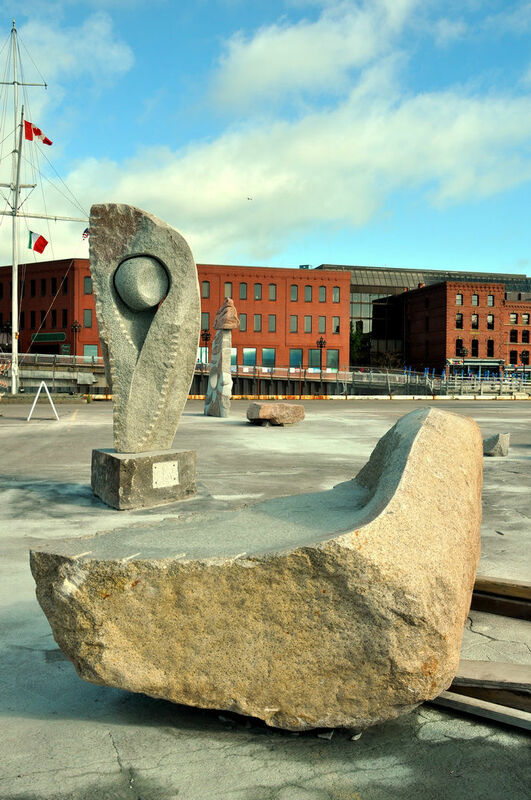 My sculpture called the gathering place is split from one 14 ton granite glacial erratic boulder from the nearby area, and the base of the sculpture is made from salvaged Oromocto bridge stone. 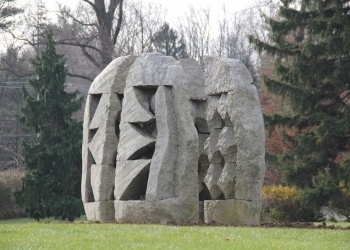 I split the boulder revealing two shapes. 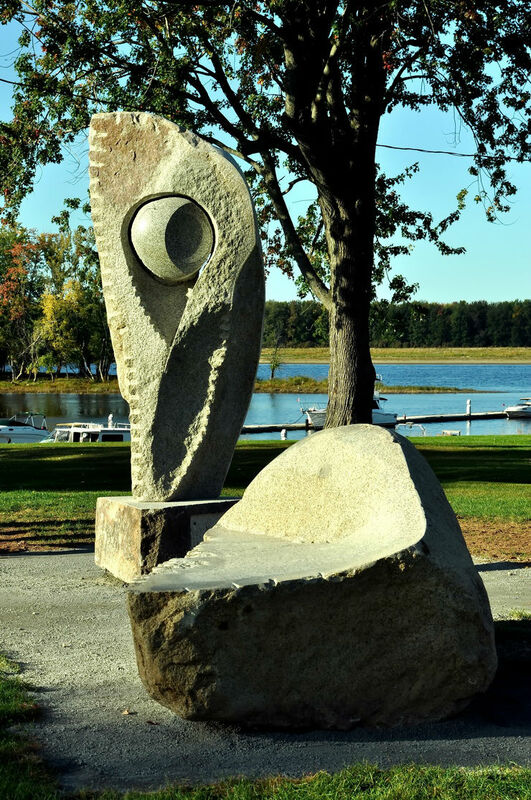 One shape formed a natural couch and I carved and polished it to enhance the color, texture, and comfortable shape. 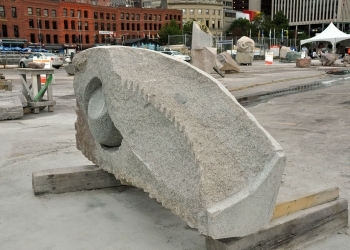 The other half formed a sail like upright that I balanced on the bridge stone. 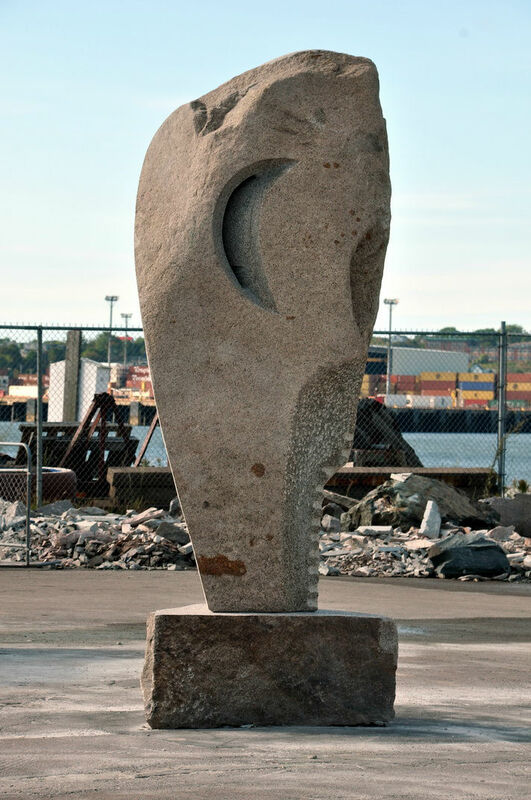 The polished form represents various phases of the sun and moon and for me symbolizes seasons and time. 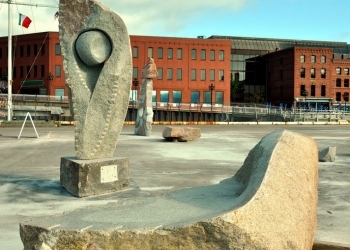 I want the sculpture to draw people to it throughout the year, and for them to gather around the sculpture where the rivers meet. 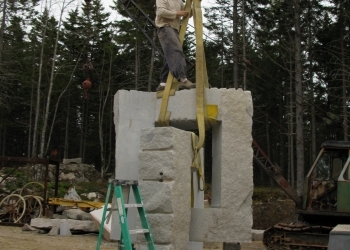 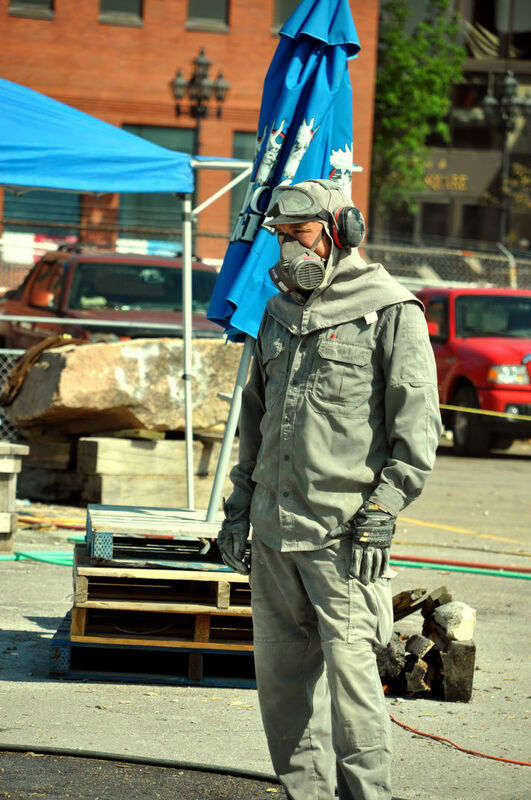 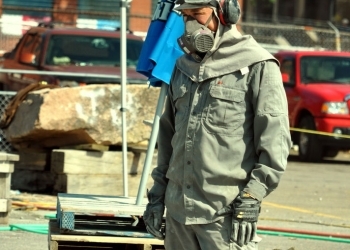 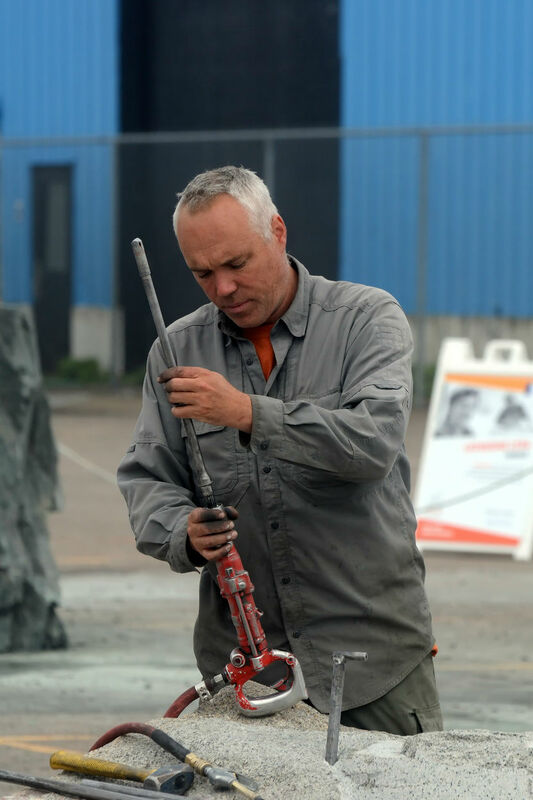 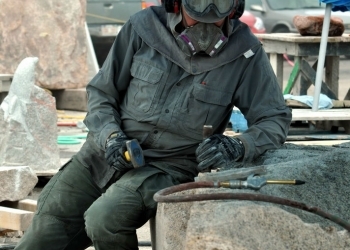 Jesse Salisbury working on his 2016 symposium sculpture "The Gathering Place"